This wooden play food set features a wooden knife and seven pieces of sliceable fruit that can be cut into a total of 17 pieces! Held together with self-stick tabs, the food makes a fun and satisfying crunch sound when sliced. With so many pieces, it’s also a great way to introduce counting and the concepts of part, whole, and fractions! This cutting fruit set for kids includes an attractive wooden crate that stores all the pieces for convenient travel and organization. 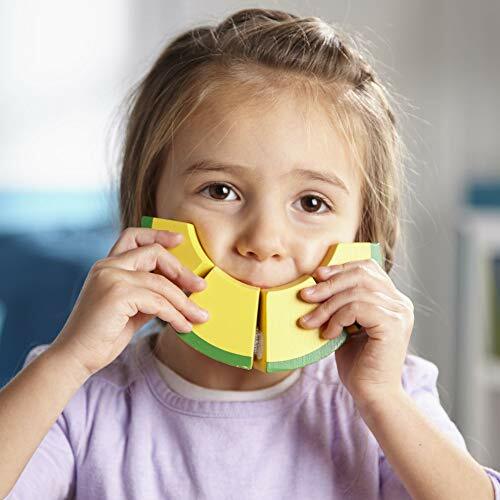 The Cutting Fruit Set is an ideal gift for kids ages 3 to 5 years. 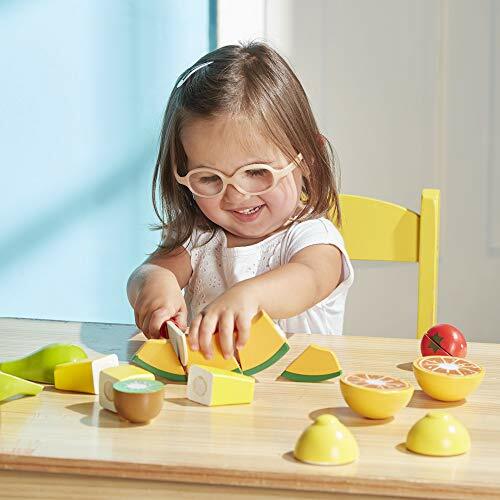 Add the Melissa & Doug Play Time Produce Fruit Play Food to round out the pretend play experience and give kids an engaging option for screen-free fun. This wooden play set measures 2.75? H × 9? W × 9? L and weighs 2.35 pounds.